Eric Chavez retires, the A’s are really, really bad, and the summer is ending on a horrible note. The A’s have continued their frustrating nose dive into oblivion, now only percentage points in front of the Mariners, and a half game above the Tigers. The slump is somehow baffling and understandable at the same time, and if the ball-club fails to make the post season it would be seen as the biggest collapse of the Wild Card Era. (and one of the biggest in baseball history in my opinion.) No team with the best record at the All Star break (again, in the Wild Card Era) has failed to make the playoffs. The season is rapidly coming to an end, and what was in the beginning that elicited pure joy now only brings feelings of deflation. Deflated enough to talk about a t-shirt…. 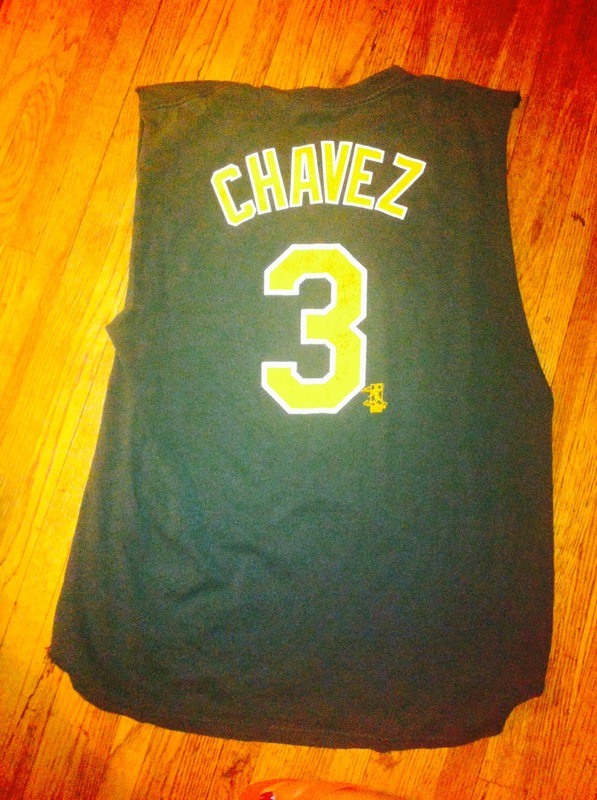 I’ve owned this Eric Chavez t-shirt for many years now, almost too many to remember. It is faded, the letters/numbers are cracked, and I usually only wear it to bed or if I’m doing yard work. I cut the sleeves off of it a couple of years ago because I needed a sleeveless shirt for the unbearably hot summers. It’s comfortable and broken in just the way I like it. My girlfriend wants me to throw it away, but I refuse. That would be like tossing away a friend, and we have too many stories and experiences mutually shared. 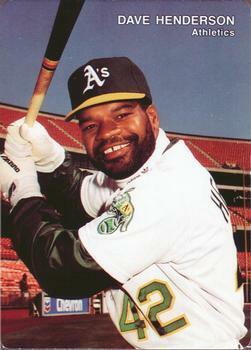 Eric Chavez, who retired on July 30th, was the greatest 3rd baseman in Oakland A’s history. (Sorry, Sal Bando!) “Chavy” won the Gold Glove 6 times in a row, is 4th on the on the Oakland all time home run list with 230, (Bando is 6th with 192.) and is universally seen as one of the most beloved players that ever put on an Athletics uniform. It’s frustrating paying homage to a player in such dire times, yet Chavy’s legacy will live on– if only in the life of a battered t-shirt that covers a broken heart.